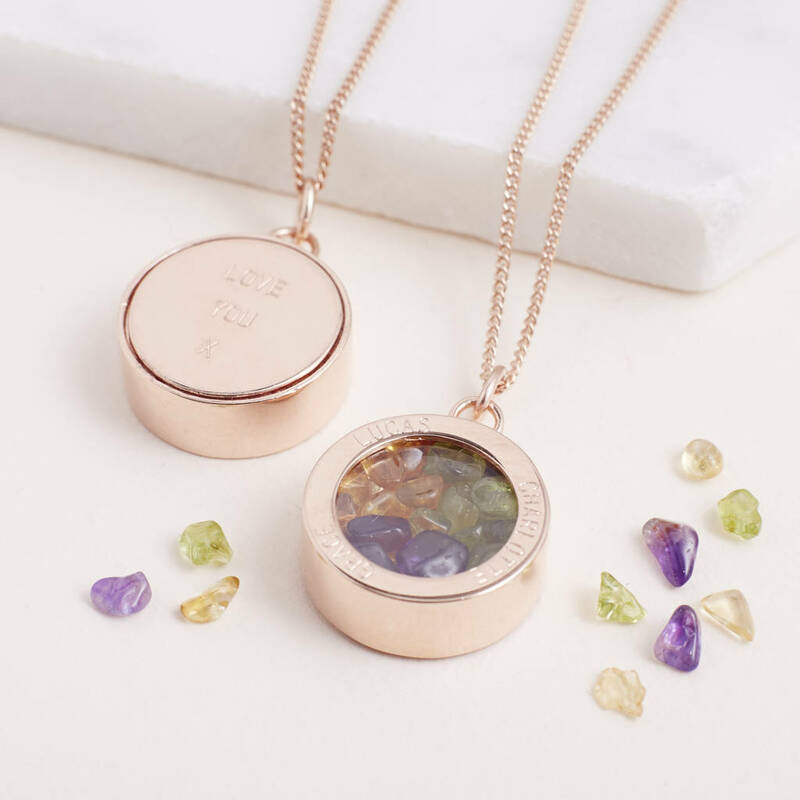 A handmade locket necklace personalised with up to three birthstones of your choice, presented in a gift box. 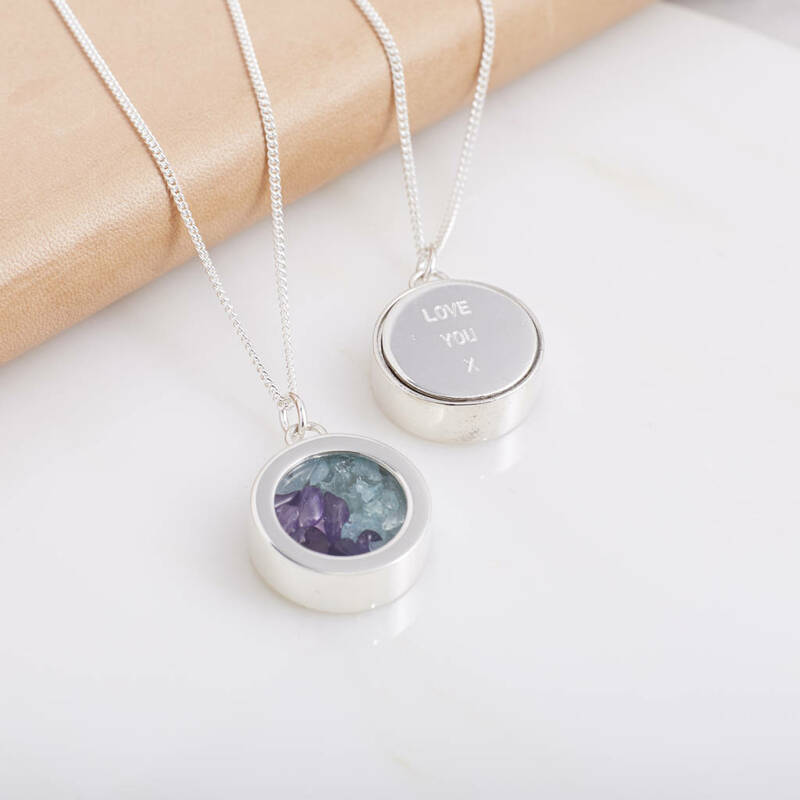 Choose your and your partner's birthstones for the perfect gift for couples, or your children's birthstones for a truly unique gift for your partner. Available in a short 46cm length chain, sitting just below the collarbone (as pictured on model), or a longer 70cm length chain. 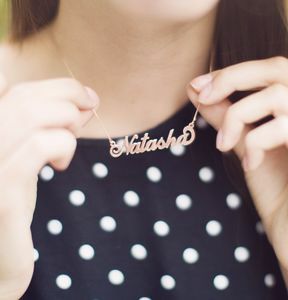 FRONT: You can select up to three names to engrave on the front of the amulet. 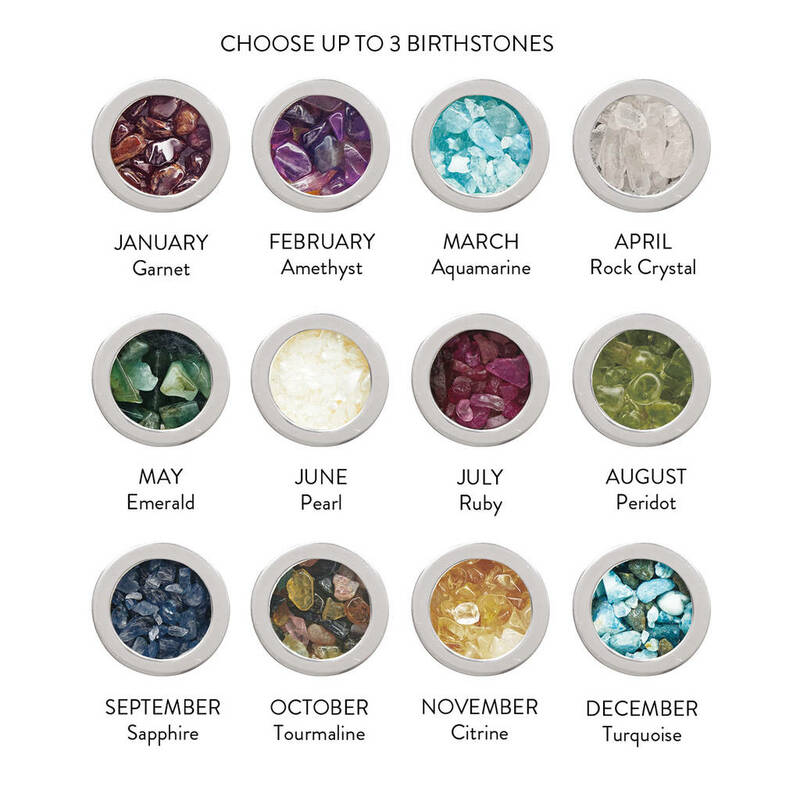 Select yes to front engraving and insert names in the same order as the selected birthstone. BACK: You can include up to three words with maximum seven letters per line. Select yes to back engraving and insert the text you would like into the box. The gemstones will be placed in sections. 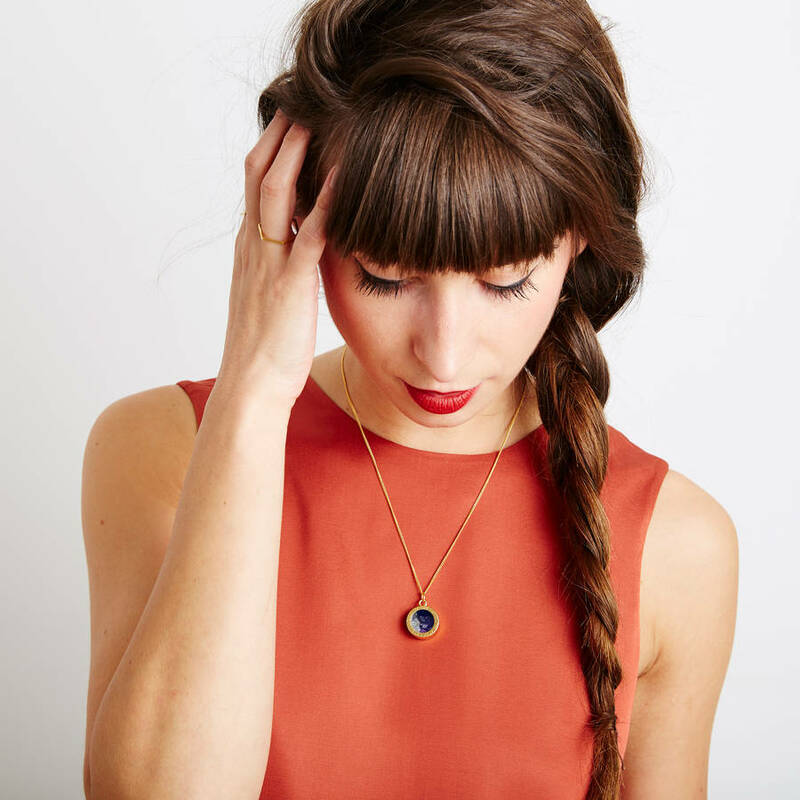 Due to the nature of the natural gemstones, their sizes do vary and they may move within the locket. 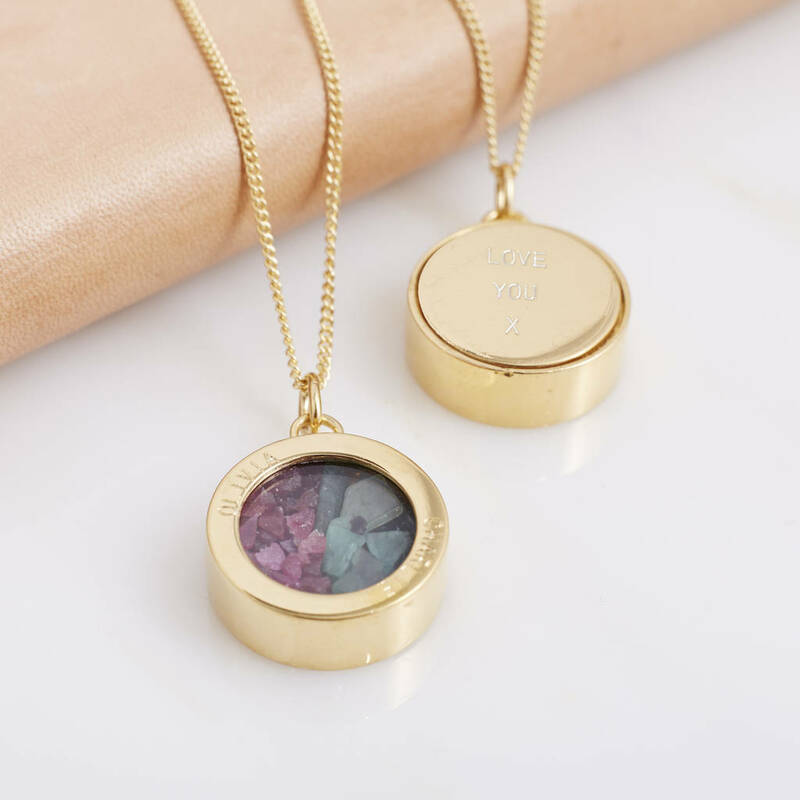 Due to the personalised nature of the locket this item can not be returned. Sterling silver, silver plated, 22 carat gold plated sterling silver and rose gold plated sterling silver. 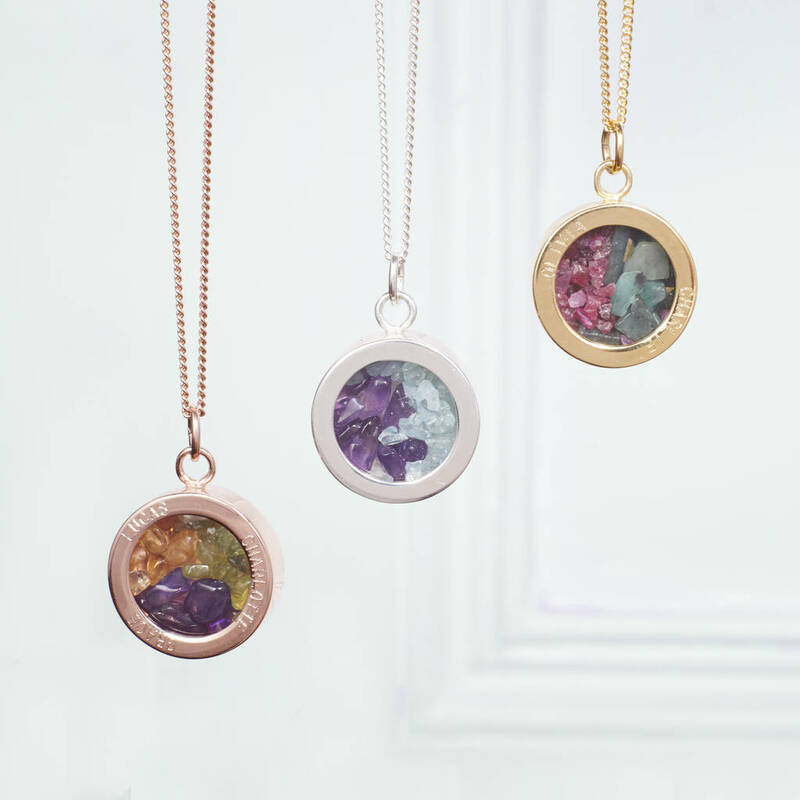 Semi precious and precious gemstones sealed in a glass locket. Handle your necklace with care at all times and store in the box it comes in. To avoid scratching do not use paper towels or tissue paper to clean your necklace. Dimensions: pendant diameter 1.8cm, depth 0.7cm.